Congratulations to the new Miss Pride of the South, Lindsey Sheckles (above left), and the new Miss Heart of the South, Lindsay Block (above right). They will compete in the Miss Kentucky pageant to be held in Lexington next June. To view more photographs from the recent Miss Heart of the South/Miss Pride of the South pageant click the crown above or the link to the left. 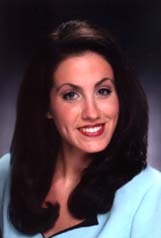 Congratulations to Miss Heart of the South 2004, Maria Maldonado (pictured above), who was crowned Miss Kentucky 2004! Maria will represent Kentucky in the Miss America Pageant which will be held September 18th and televised on ABC. Also, congratulations to Miss Pride of the South 2004, Annie Cruse (pictured below) who was named 1st runner-up and received a Preliminary Talent Award. Annie has earned the right to compete at the National Sweetheart Pageant to be held in Hoopeston, Illinois, on Labor Day weekend. The Miss Heart of the South pageant was recognized at the Miss Kentucky pageant for awarding the highest in-kind scholarships in the state (scholarships to specific colleges/universities). 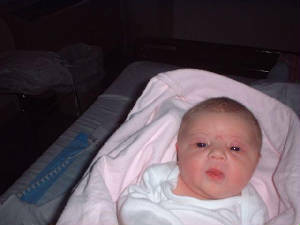 Pageant directors Shane and Carmel Hensley are proud to announce the arrival of Little Miss Heart of the South, Executive Boss and future Miss America, Meredith Caroline Hensley (pictured above), who was born July 8, 2004. 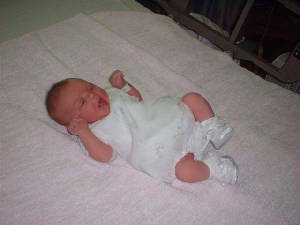 She weighed 7 lbs and 10 oz and was 21 inches long!!! The Miss Heart of the South/Pride of the South pageant is open statewide to any young ladies who meet the eligibility requirements (see link above). If 10 or more contestants enter two titles will be awarded. Entries must be postmarked by Wedenesday August 4th. Click on the link above to download the required forms. There will be NO Teen pageant held this year. Pictured at far left are Maria Maldonado, Miss Heart of the South/Miss Kentucky 2004 and Miss Pride of the South, Annie Cruse with the rest of the top 5 finalists (from left to right) Erin Bentley, Miss Louisville (2nd runner-up); Lauren Gibbs, Miss Heart of the Parks (3rd runner-up) and Amber Jones, Miss Richmond Area (4th runner-up). 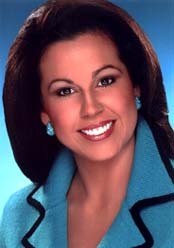 Photo is courtesy of the Miss Kentucky Newsletter (see link below).